Perhaps mine wasn’t the most refined palate for this assignment. Not because I don’t love food – if anything I love it a little too much – but rather because fine dining has always eluded me somewhat. I am a man, after all, who not only celebrated the return of the spam fritter but was deeply saddened when – like a deep-fried Icarus made out of the reconstituted remains of several Ancient Greek pigs – it flew too close to the sun and promptly disappeared from shelves once more. 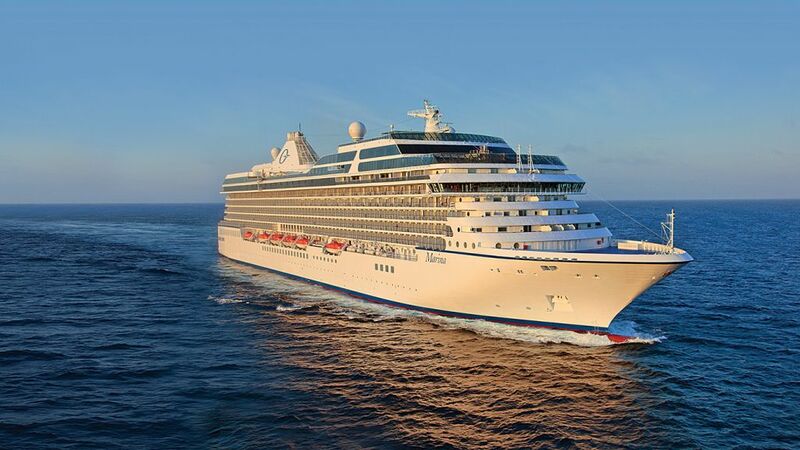 So, when I got the call to head over to Dover to spend a day on board Oceania Cruises’ Marina to sample what is regarded as ‘The Finest Cuisine at Sea’, I figured I’d better give myself a crash course in culinary writing. A couple of Jay Raynor articles, an episode of Masterchef and the hasty digestion of the degustation dictionary later – and I was ready to start chewing the fat. Oceania Cruises doesn’t do pretension. It doesn’t bore you silly with pretentious sayings like ‘mouthfeel’ and ‘deconstructed’. Rather it simply delivers delicious, satisfying food of a high standard with exceptional service. Turns out good cuisine is quite simple, really. Of course, there’s slightly more to it than that, and the scale of the operation was quickly realised with a brief tour of the galley. Now, if you’ve never seen an industrial kitchen before it can take you aback, mainly because the shimmering stainless steel surfaces closer resemble a spaceship than something used to whip up a spag bol. Indeed, if it wasn’t for the bubbling pans emitting some truly delicious odours and the chefs scuttling about, I’d have braced myself for take-off. But there was a point to all of this beyond showing off Marina’s immaculate facilities. It was a way to show the hard work that goes into keeping a 24-hour kitchen operating at such a high standard – and just why they’ve developed the reputation in the industry that they have. A quick whip around tour of the restaurants onboard Marina followed: there’s the Waves Grill for a burger by the pool, the pan-Asian cuisine of Red Ginger, the ever-popular Toscana offers rustic Italian favourites and Michelin-quality dining is served courtesy of Jacques Pepin’s restaurant Jacques. 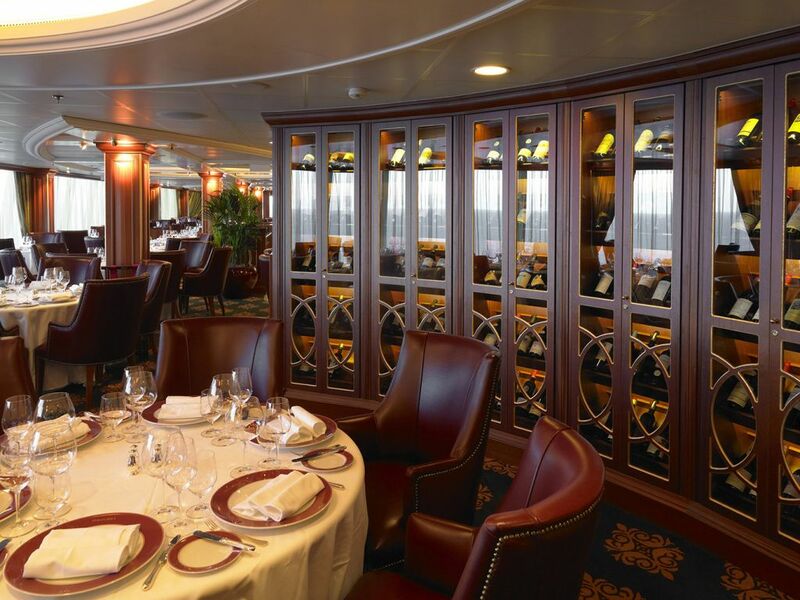 Our meal, however, was to offer a little taster menu of all the on-board restaurants and was served in the comfortable surrounds of the Polo Grill – think sturdy leather chairs, country club reds and a spectacular ocean view. The meal got off to a promising start with a small parcel of fresh, Maine lobster served with caviar and a honey and vinegar foam. It was nothing more than a mouthful, but the combination of flavours was excellent with the acidity of the vinegar balancing the fish exquisitely. Things got more substantial with the second course – fagottini al formaggio (provolone-stuffed pasta parcels with butternut squash sauce to me and you). I love pasta and so this was never going to be a hard sell, but the creamy, rich butternut squash paired wonderfully with the dense, cheesy pasta. I could’ve easily had another bowl! Before tucking into the main course of miso-glazed sea bass and basmati rice I was offered a little bit of advice. To the side of the plate was a small piece of lime. Now, usually if I see something on the side of the plate I assume it’s a garnish and leave well enough alone, but on this occasion, I was advised to squeeze the lime over the fish before eating. 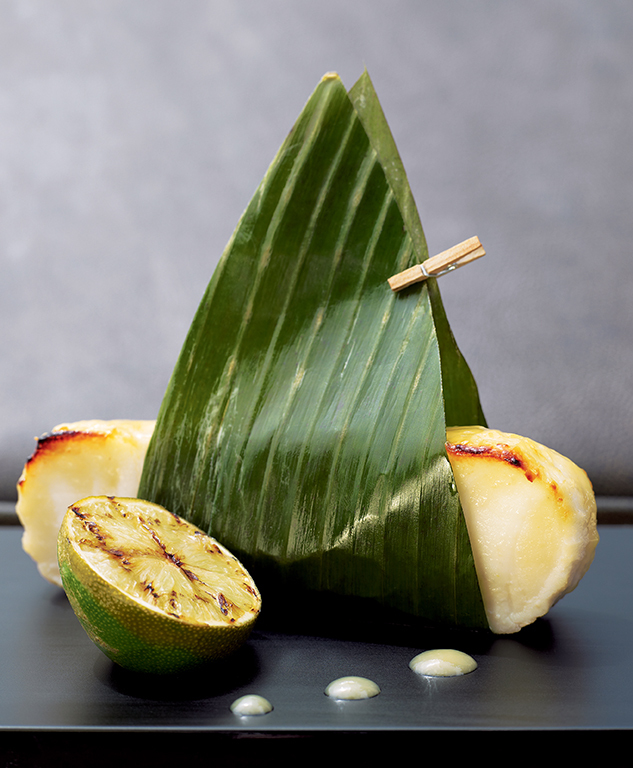 Upon opening the banana leaf parcel (a nice touch of small theatre), the sweet, sticky miso sauce was suddenly in perfect balance with the bitter lime bringing out all the best flavours of the fish. This was pan-Asian cuisine done right. Bringing the meal to a close was the intriguingly titled Papuan chocolate volcano. Might this be the first culinary disaster I was to be served? The volcano erupted to reveal an oozing passion fruit and caramel lava – a sticky mess that when sampled in conjunction with the rich, chocolate pudding was a decadent treat leaving me more than satisfied. By this point I was ready for a lie down in one of Marina’s cosy staterooms but my culinary odyssey was not yet complete. I’d done enough sampling – it was time to don the white apron myself and try my hand in Oceania Cruises’ Culinary Center. The first cookery school at sea – it has quickly become a popular feature for the cruise industry in general – this is a must-try experience for anyone who feels at home in the kitchen (and those looking to sharpen their skills). Chef Karlis Celms – an American-born, Latvian chef – was our tutor for the day and he was quick to share helpful tips and advice for all levels of chefs (using strips of baking parchment to lift a cake out of the mould, for example). We were tasked with creating a drunken limoncello cake and a twist on rumaki (using a scallop instead of liver). So, after a quick demonstration, we were sent back to our workstations to get started. I was taken aback by just how hands-on it all was. Often a cooking class involves you nodding sagely as someone who has far more talent than you explain what they’re doing, but here I was hands-deep in flour and searing a scallop like a pro. Pretty well, actually. It certainly tasted like a cake and I’m still alive to tell the tale. This, at least in my eyes, is a culinary triumph. 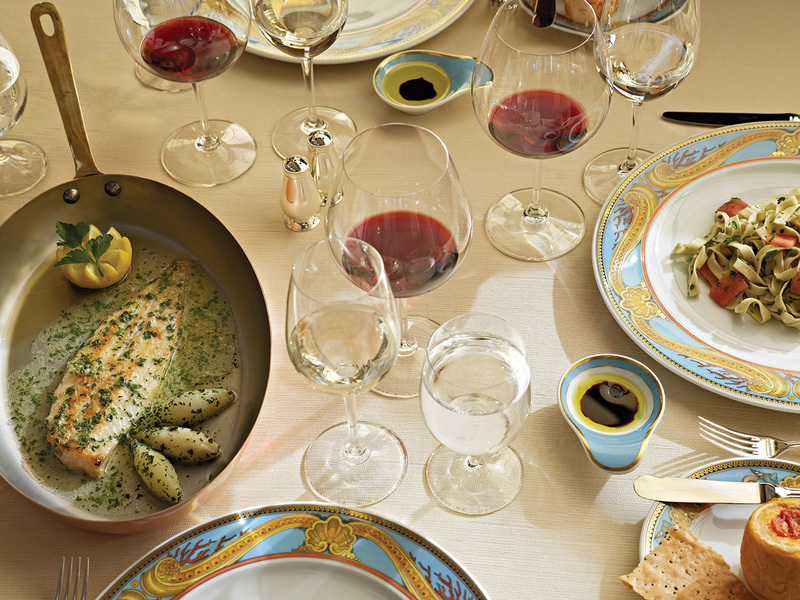 And, although I might not have the most refined of tastes, I think even I’m qualified to say when Oceania Cruises speaks of having the finest cuisine at sea – they just might be onto something.